PennsylvAsia: "Education Trends in China," March 21 at Pitt. 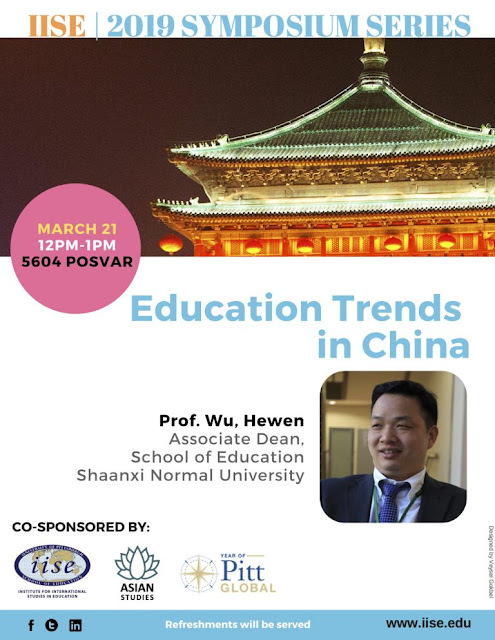 The University of Pittsburgh's Institute for International Studies in Education will present Dr. Hewen Wu and his talk on "Education Trends in China" on March 21. It runs from 12:00 to 1:00 pm in 5604 Posvar Hall (map) and is free and open to the public.